Verdict: We think this is a smart choice for college students looking for a cash back credit card to help them build a credit history. The Wells Fargo Cash Back College℠ Card is designed for college students with limited credit histories. New account holders can get a 0% introductory Annual Percentage Rate (APR) for balance transfers and purchases for 6 months. A balance transfer request must be made within the first 120 days of account opening to be eligible for the intro APR. After the introductory period ends your Annual Percentage Rate (APR) for purchases and balance transfers will be a variable 13.40% to 23.40%, based on your creditworthiness. This APR will vary with the market based on the U.S. Prime Rate. As far as balance transfer fees, there is an introductory fee of either $5 or 3% of the amount of each balance transfer, whichever is greater, for 120 days from account opening. After that, up to 5% for each balance transfer, with a minimum of $5. This card has a rewards program where you earn 3% cash rewards on gas, grocery, and drugstore purchases for the first 6 months, 1% cash rewards on virtually all other net purchases. After six months all eligible purchases earn 1% cash rewards. This card has no annual fee. Introductory Annual Percentage Rate (APR): 0% Intro APR for balance transfers and purchases for 6 months. After that a variable APR applies, currently 13.40% to 23.40% for purchases and balance transfers, based on your creditworthiness. Balance transfers made within the first 120 days of account opening are eligible for the 0% intro APR. 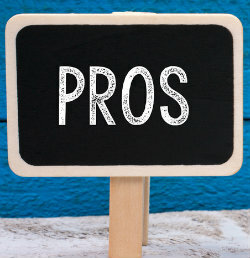 Balance transfers are subject to a fee, there is an introductory fee of either $5 or 3% of the amount of each balance transfer, whichever is greater, for 120 months. After that there is a balance transfer fee of up to 5% for each balance transfer, with a minimum of $5. To apply for this card online, you’ll need an existing Wells Fargo bank account. If you don’t have an existing relationship with Wells Fargo you will need to apply in person at a Wells Fargo location. If you are under the age of 21 and you don’t have verifiable income, you’ll need to bring a co-signer who is over 21 and can provide proof of income. The application will also require your Social Security number, government-issued identification and information about the school where you’re enrolled. Compared to other student credit cards that offer cash back, the Wells Fargo card stacks up pretty well. Here are some other student credit cards we think may be of interest to those of you looking for a student credit card that offers cash back rewards. Discover it® Student chrome and Discover it® Student Cash Back both offer a cash back rewards program. 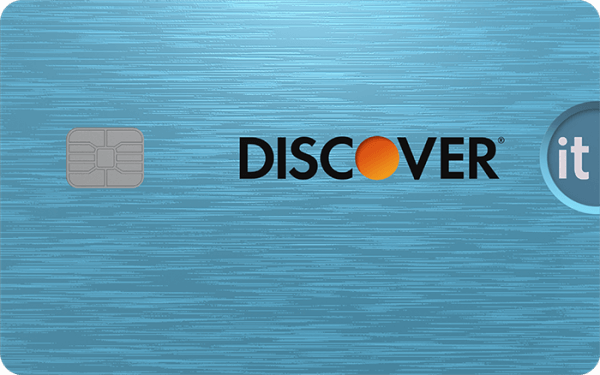 For both the Discover it® Student chrome and Discover it® Student Cash Back there is an intro offer, for new cardmembers only, Discover will match all the cash back you’ve earned at the end of your first year, automatically. There’s no signing up and no limit to how much is matched. You may be considered for either card with a fair credit score or if you are new to credit. However, a quick reminder, your credit score alone doesn’t guarantee you’ll qualify for any credit card offer, credit card issuers use a variety of different types of credit scores as well as other criteria to make their credit decisions. Neither version of the Discover student cards has an annual fee. 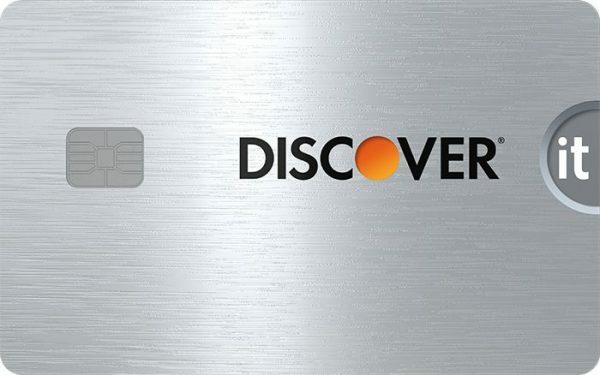 With the Discover it® Student Cash Back (image on the left) you earn 5% cash back at different places each quarter like gas stations, grocery stores, restaurants, Amazon.com and more up to the quarterly maximum, each time you activate. Plus, earn unlimited 1% cash back on all other purchases – automatically There is also a Good Grades Rewards – a $20 statement credit each school year your Grade Point Average (GPA) is 3.0 or higher for up to the next 5 years. Note, the terms of Good Grades Rewards offer are subject to change. If your spending doesn’t vary much, you may want to consider the Discover it® Student chrome card (image on the left) where you earn 2% cash back at gas stations and restaurants on up to $1,000 in combined purchases each quarter. Plus you earn unlimited 1% cash back on all other purchases – automatically. There is also a Good Grades Rewards – a $20 statement credit each school year your Grade Point Average (GPA) is 3.0 or higher for up to the next 5 years. Note, the terms of Good Grades Rewards offer are subject to change. The Journey® Student Rewards from Capital One® (image on the left) offers a rewards program where you earn 1% cash back on all your purchases. If you pay on time you can boost your cash back to a total of 1.25% for that month. The card has no annual fee and you may be considered for this card with average, fair, limited credit. Just a reminder, as we already mentioned, credit card issuers look at other factors, in addition to your credit score, to determine if you are eligible for their credit card. 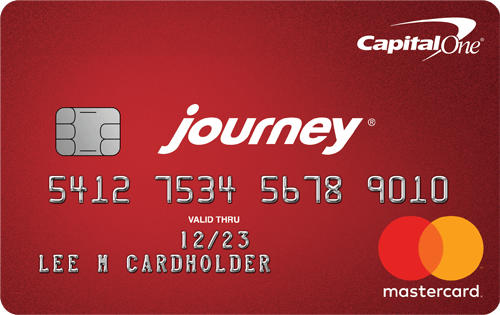 Journey® Student Rewards from Capital One® also offers access to a higher credit line after making your first 5 monthly payments on time. The cash back program with the Wells Fargo Cash Back College℠ Card is straightforward. You get 3% cash rewards for each $1 spent on gas, grocery, and drugstore net purchases for the first 6 months you have the card, and 1% cash rewards on virtually all other eligible net purchases made with the card. You can get extra bonus cash rewards earning potential and deals at your favorite stores when you shop their Earn More Mall® site. Familiarize yourself with the exclusions and details to avoid any surprises. For example, purchases made via mobile card readers may not qualify for rewards. Cash equivalents, including prepaid gift cards, are not eligible for rewards. After the 0% introductory APR period ends the Annual Percentage Rate (APR) for purchases and balance transfers will be a variable rate between 13.40% to 23.40%, based on your creditworthiness. This APR will vary with the market based on the U.S. Prime Rate. For a new credit card user, this is a fairly low rate range. As far as balance transfer fees, there is an introductory fee of either $5 or 3% of the amount of each balance transfer, whichever is greater, for 120 days of account opening. After that, up to 5% for each balance transfer, with a minimum of $5. The introductory 0% APR for the first 6 months on balance transfers and purchases is great and, with consistent responsible use by you, can help you pay off the balance on higher interest cards or finance a new purchase without finance charges on your eligible balances during the introductory period. Just keep in mind that only balance transfers made within the first 120 days of account opening qualify for the 0% intro APR. You can choose to have your cash back rewards deposited directly into a Wells Fargo account, cash rewards are redeemed in $25 increments. Other redemption options include redeeming your rewards as a credit to a qualifying Wells Fargo product, request a paper check, redeem in $20 increments at a Wells Fargo ATM with a Wells Fargo Debit or ATM card or redeem rewards for travel, gift cards, and more. Redemption values may vary based on the method and what you choose to redeem your rewards for. Wells Fargo won’t impose a penalty APR if you pay late, which is nice. When using this card, it’s important to be aware of how your payments are applied if you have more than one type of charge included in the balance. If you only make the minimum payment, that money will be automatically allocated to charges with a lower APR. The cash back deal may not work at all if you use a digital or mobile wallet, which can be a real problem for college students who want the convenience of paying for purchases through their iOS or Android device linked to their credit card. 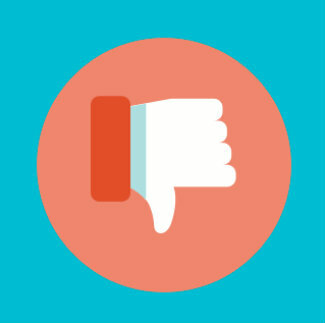 You might not get cash back on purchases made with retailers who use wireless or mobile card readers, even if those purchases would otherwise earn cash back. You may not be eligible for introductory annual percentage rates, fees, and/or bonus rewards offers if you opened a Wells Fargo Credit Card within the last 15 months from the date of your application and you received introductory APRs, fees, and/or bonus rewards offers, even if that account is closed and has a $0 balance. Speak to your local Wells Fargo branch to check if you qualify. The Wells Fargo Cash Back College℠ Card is a cash back credit card for students who are new to the credit card scene. It’s a good starter card with a nice cash back program. Pay attention to the fine print. Check out the card issuers website for more information and to see if this student credit card could be a fit for you. Terms, conditions, restrictions, limitations apply to the offers mentioned in this article. Independent Review Disclaimer: All the information about the Wells Fargo Cash Back College℠ Card has been collected independently by CreditSesame.com and has not been reviewed or provided by the issuer of this card. The Wells Fargo Cash Back College℠ Card is not available through CreditSesame.com.